Dahlin, the No. 1 pick in the 2018 NHL Draft, will look to make an immediate impact. Each of the past five teams to have the No. 1 pick have made the Stanley Cup Playoffs within two seasons. But how much can the Sabres expect from Dahlin? In the past 20 years, 12 other defensemen have been drafted in the top three; five went directly to the NHL: Jay Bouwmeester, Florida Panthers, No. 3 in 2002 NHL Draft; Drew Doughty, Los Angeles Kings, No. 2 in 2008 NHL Draft; Zach Bogosian, Atlanta Thrashers, No. 3 in 2008; Victor Hedman, Tampa Bay Lightning, No. 2 in 2009 NHL Draft; and Aaron Ekblad, Florida Panthers, No. 1 in 2014 NHL Draft. The average rookie performance of those five was 24 points (seven goals, 17 assists) in 73 games. Hedman, who scored 20 points (four goals, 16 assists) as a rookie with the Lightning, went to the NHL from the Swedish Hockey League, the same jump Dahlin is expected to make this season. In Hedman's final season in the SHL, he had 21 points (seven goals, 14 assists) in 43 games for Modo. Dahlin had 20 points (seven goals, 13 assists) in 41 games last season for Frolunda. Jack Eichel is one of two Sabres to score more than 50 points in a season since 2011-12. The other is center Ryan O'Reilly, who was traded to the St. Louis Blues on July 1. 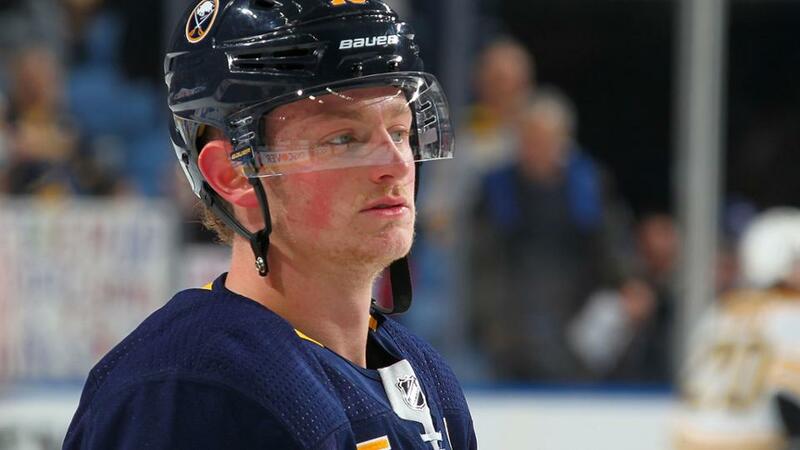 In three NHL seasons, Eichel, a center, has scored 177 points (73 goals, 104 assists) in 209 games. That is an average of 0.85 points per game, which is 35 percent of the Sabres average of 2.42 goals per game. That ranks ninth among NHL players over that time span. Over the past three seasons, the Sabres ranked last in the NHL in even-strength shooting percentage (6.4) and overall shooting percentage (8.0). This struggle carried into the shootout, when they scored on 13 of 65 attempts (20.0 percent), last in the NHL, leading to a record of 5-15 in that span. To turn the tide, the Sabres will be relying on new-addition forwards Conor Sheary and Patrik Berglund, who have NHL career shooting percentages of 13.8 and 12.5, higher than anyone on the Sabres roster. Forward Jeff Skinner, who was acquired in a trade from the Carolina Hurricanes, also could make a difference with his 10.7 shooting percentage.